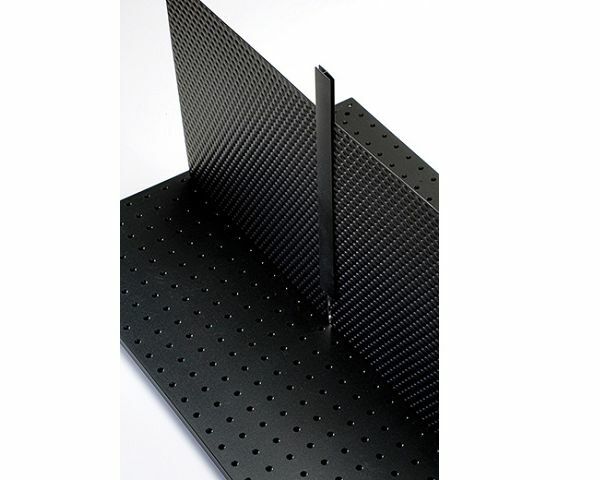 EverGuard® BenchGuard Barriers are laser protective barriers for use on optical benches. 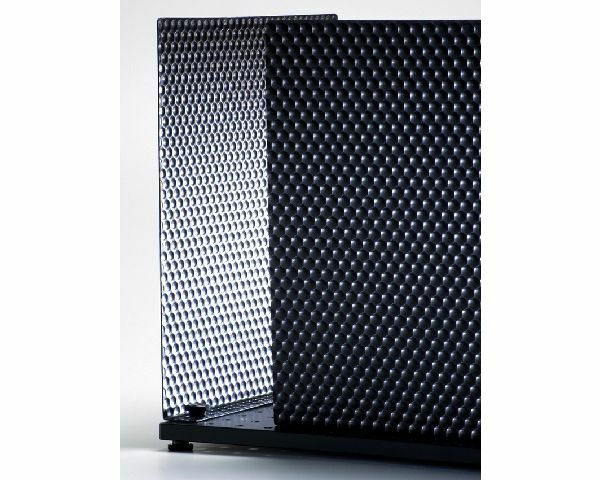 These bench mount barriers are constructed of black anodised, light-diffusing, textured EverGuard® material to absorb and diffuse laser beams. EverGuard® is safety rated in excess of 1200 W/cm2 for at least 3 minutes. These barriers are available as standard in 4 widths and 2 heights, or can be made to a custom size to suit your application needs and simply bolt on to your bench. 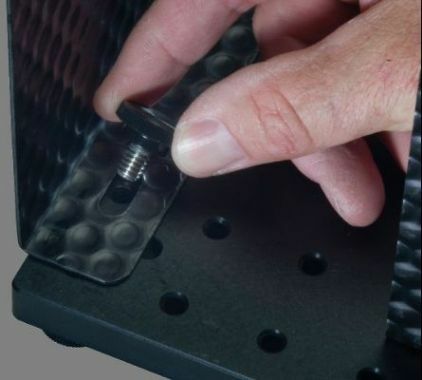 The black anodised BenchGuard™ H-Channel Straight and Corner Connectors provide light blocking between barrier panels. KEN-PT-EB1212 w 12" x h 12"
KEN-PT-EB1812 w 18" x h 12"
KEN-PT-EB2412 w 24" x h 12"
KEN-PT-EB3612 w 36" x h 12"
KEN-PT-EB1218 w 12" x h 18"
KEN-PT-EB1818 w 18" x h 18"
KEN-PT-EB2418 w 24" x h 18"
KEN-PT-EB3618 w 36" x h 18"
KEN-PT-EBH12 H-Style Straight Connector for Bench-Mount Barrier, 12 "
KEN-PT-EBH18 H-Style Straight Connector for Bench-Mount Barrier, 18 "
KEN-PT-EBCC12 Corner Connector for Bench-Mount Barrier, 12"
KEN-PT-EBCC18 Corner Connector for Bench-Mount Barrier, 18"